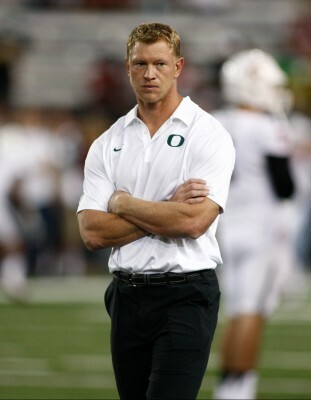 The greatest Oregon Duck to ever wear the green and yellow is now preparing for life in the NFL That’s old news. So what does the future hold? 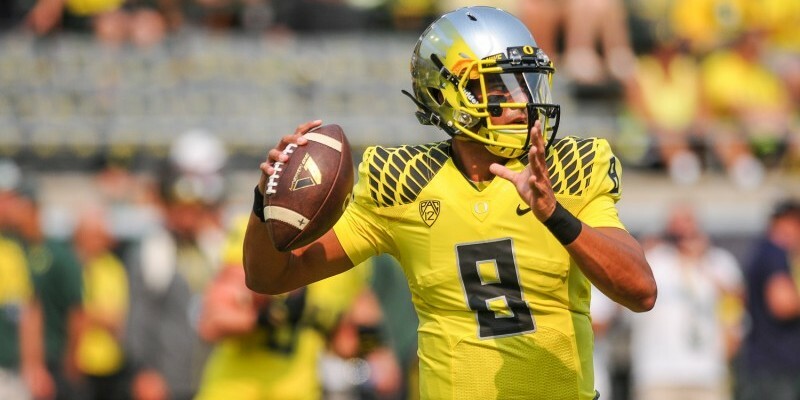 Could a new quarterback bring changes to the Oregon offense we have become so familiar with? To begin, I don’t think we will be a bad football team without Marcus Mariota. There is far too much talent on this roster to be anything less than a 10 win team even without our Heisman Trophy winner. However, when you lose the leader of the offense your team can be left in uncharted waters. When you have a three-year starter who controls the offense, the coaches know they can rely on him to make the right decisions before the snap and during the play. That’s what Mariota excelled at – he didn’t make mistakes. There is a legitimate chance that former Eastern Washington quarterback, Vernon Adams, will be the starter next season. Adams has a different skillset, different experience, and a different build than Mariota; so will our offense change to suit him more? I’m thinking yes. Take a moment to remember back to the Jeremiah Masoli days. All laptop theft jokes aside, Masoli was a great fit for the Oregon offense. He was an incredible improviser, capable of assessing a play and quickly making a decision to pass or take off and run. At a generous 5-foot-11, he was able to take the Oregon program to new heights because of his play making ability. And watching him run over the Oregon State defender on fourth down to seal the Rose Bowl berth is still one of my favorite plays in Oregon history. The Duck offense is usually a run-first scheme, but even more so back when Masoli was under center; because when you have an NFL caliber quarterback like Mariota, you tend to throw a little more. Mariota threw the ball 304 times last season, and I personally don’t believe that Adams (or someone else) will be asked to throw that many times in 2015. I see our offense leaning more on the run this upcoming season because we have some studs in the backfield to rely on and a new quarterback calling the shots. Adams, who is comparable to Masoli in size, could be a dangerous runner in a read option game. Masoli ran for 718 yards and 10 scores in 2008, then ran for 668 yards and 13 scores in 2009; and I could see Adams putting up similar, if not better, numbers if he is the starter. He will have the benefit of handing off to Thomas Tyner and Royce Freeman, who both could rush for 1,000 yards next season.